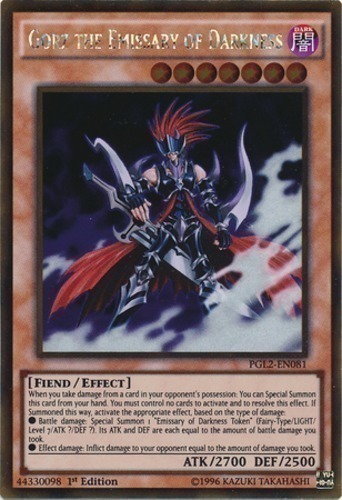 ● Battle damage: Special Summon 1 "Emissary of Darkness Token" (Fairy-Type/LIGHT/Level 7/ATK ?/DEF ?). Its ATK and DEF are each equal to the amount of battle damage you took. ● Effect damage: Inflict damage to your opponent equal to the amount of damage you took.